Savvy Spending: Kohl's: Get 3 Small Appliances for FREE after Rebates, Cash Back, and Kohl's Cash! 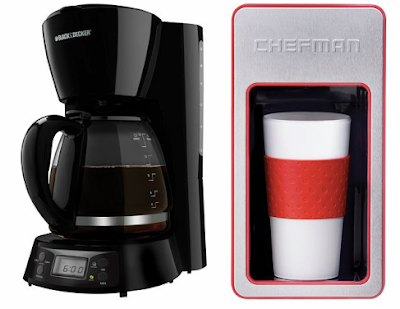 Kohl's: Get 3 Small Appliances for FREE after Rebates, Cash Back, and Kohl's Cash! 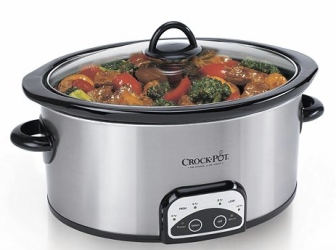 Kohl's is offering a HOT Deal on some small appliances! You can use code TURKEYTIME to save an additional 15% off your purchases and get free shipping on orders over $50 (or choose in store pickup if available near you). Select items are eligible for a $12 Visa Prepaid Card via the Mail-in rebate offer found here (you can earn up to 5 per household) when you purchase any of the following Small appliances below (valid for purchases made between 11/22-11/27 only)! And, you will earn $15 Kohl's Cash with your $50 purchase! Remember to start at Top Cash Back or Ebates if shopping online-- they are both offering 6% cash back and a $10 sign up bonus for new members!! HURRY, THESE WILL SELL OUT!! And the rebates are only for purchases THIS WEEK! Final cost ONLY $11.91 for all three-- or just $3.97 each! If you consider the $15 in Kohl’s Cash you've earned, you're ahead in the end! Moneymaker! What a great gift idea!! If you have any Christmas gifts, housewarming presents, or bridal shower gifts to purchase, these would be great! We own the Griddle and the Crock Pot and I love them both!